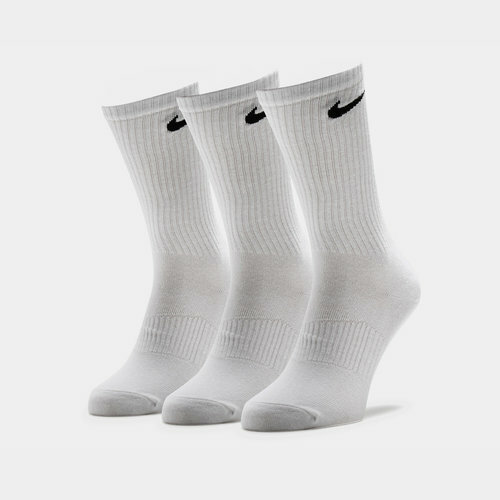 You can't beat a good old pair of socks and there's always a place for Nike's Lightweight Cotton Crew Socks in your wardrobe (and on your feet). Made from a soft mix of cotton, nylon and elastane, a ribbed effect above the ankle helps keep the socks comfortably in place while the reinforced heel and toe enhance the life of this essential clothing. Sporting a plain white look, the signature Swoosh sits on the side of each leg.